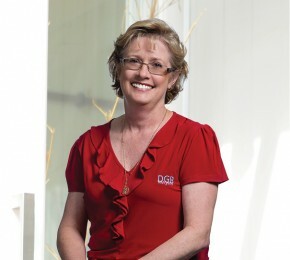 Linda joined DGB Lawyers in 1986 and became a partner in 1991. Linda completed her tertiary studies at the Australian National University, where she obtained degrees in Arts and Law. She was admitted as a solicitor in 1981 after completing her practical legal training at the College of Law in Sydney. Linda moved to Wollongong in 1985 after working in a general practice in South Western New South Wales. 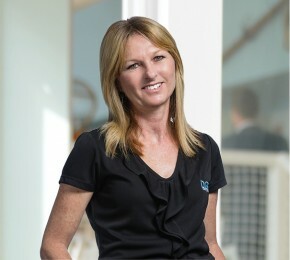 Linda has been actively involved in the Wollongong community. She served on the management committee of the Illawarra Legal Centre for more than 20 years, and has provided her services to the roster operated by that Centre which provides free legal advice to the community since 1986. She has won awards from the Law Society, and The Law and Justice Foundation. Linda has also been the honorary solicitor of Wollongong Emergency Housing and is an active member of the P&C Committee at her son’s school. She currently serves on the Board of the Cram Foundation. 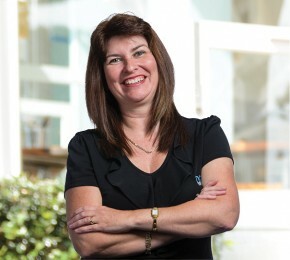 Linda was the first female President of the Wollongong and District Law Society. In recent years Linda has developed a specialist practice in surrogacy and has given evidence to parliamentary enquiries in Queensland and New South Wales on this area. Linda has had many years experience in helping clients to resolve differences in an atmosphere of mutual respect and has completed an advanced course in Collaborative Practice. Collaborative Practice is the name given to the cooperative approach between lawyers and clients where all parties work together to resolve the problems that result from the breakdown of the relationship. 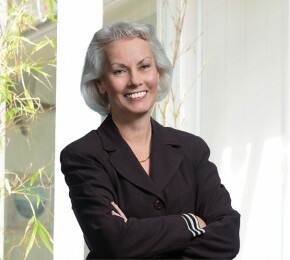 Linda sees this as an ideal approach for separating families using problem solving approaches, keeping control of the process within the family, working with family experts, emphasizing the needs of children and promoting agreement suitable to all parties and avoiding unnecessary litigation in court. Warren joined DGB Lawyers in 1991 after working in Campbelltown for nine years and Wagga Wagga for two years learning his trade and completing his Diploma of Law and being admitted as a solicitor in 1986. Warren grew up in country New South Wales spending time in Mullumbimby, Cootamundra, Cobar and Campbelltown. 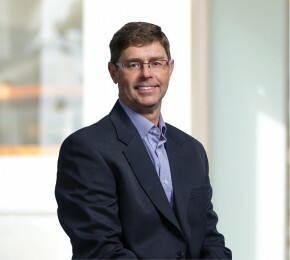 Warren gained an interest in Property Law and now practices primarily in this area of law which encompasses residential and commercial conveyancing, lease and business transactions, development and subdivision works. This interest led him to become an accredited Property Specialist in 1996. Warren is the firm’s Notary Public which is an office primarily allowing the authentification of documents to be used in foreign jurisdictions. Warren resides in Wollongong with his wife and daughter. 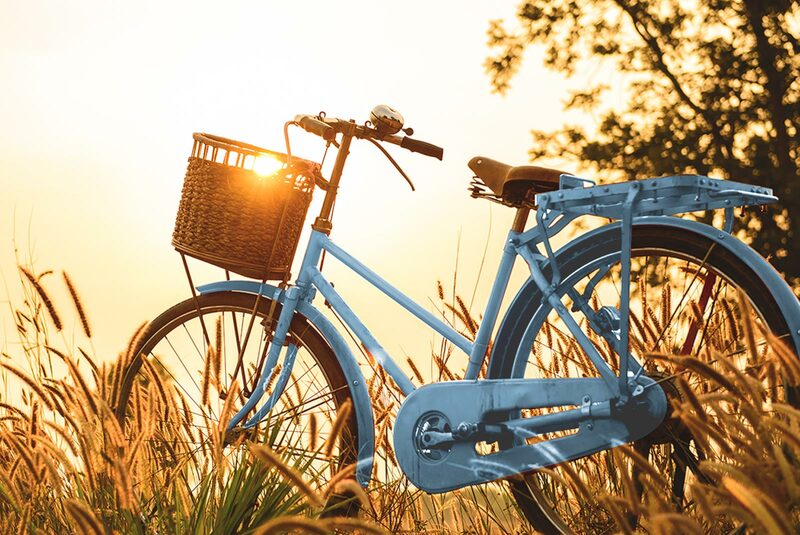 He is a keen sportsman and can often be found on the Wollongong golf course, cycling around the Illawarra or enjoying the Blue Mile walk around the Wollongong foreshore. Warren continues to be active in the community being a past Board member of the Illawarra Christian School, a current member of Figtree Anglican Church, a past chairman of the Wollongong Law Society Conveyancing Committee and a member of a number of local sporting and social clubs. 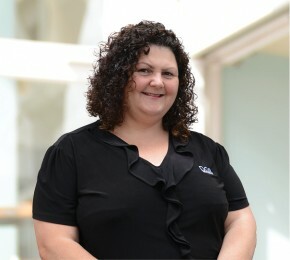 Following the completion of a Bachelor of Laws Honours and Bachelor of Arts degree at the University of Wollongong in 2003, Lorelle was admitted to the Supreme Court of NSW in 2004. From 2004 until joining DGB Lawyers in 2008, Lorelle practised in the Shoalhaven. 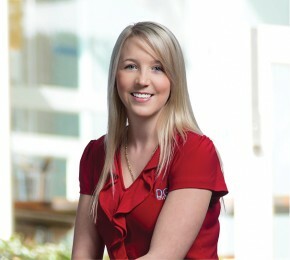 Lorelle was welcomed into the partnership of DGB Lawyers in July 2011. Lorelle is the Family Law Chair and Vice President for the Wollongong District Law Society and is passionate in her advocacy for improvements to the family law system. Lorelle is also a nationally accredited mediator, the treasurer of the Wollongong Chapter NSW Women’s Lawyer’s Association, a trained collaborative lawyer, and appointed to Legal Aid NSW’s Independent Children’s Lawyer and Family Law panels. In all of her matters Lorelle is focussed on achieving her client’s goals with a minimum of fuss. Lorelle is also committed to ensuring that all of her clients understand the legal pathway on which they are travelling so that they maintain confidence and do not feel lost in an unfamiliar system. Apart from her commitment to legal practice and advocacy for her clients, Lorelle has previously taught Corporations Law and Tourism and Hospitality Law at the Illawarra Institute of Tafe NSW. Away from the office Lorelle relishes spending time with family and friends, and travelling, especially to places with an abundance of salt water and NO Wifi. Ben is a passionate and dedicated commercial lawyer and has worked primarly in the area of commercial and property law since 2004 when he began his legal career as a law clerk in Wollongong. In 2008 Ben left Wollongong and commenced work for a large commercial practice in Sydney obtaining experience in complex litigation matters. 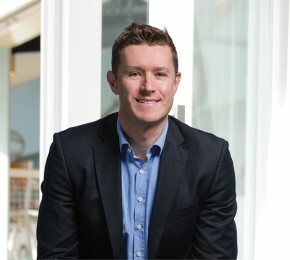 Ben returned to Wollongong in 2011 where his legal career began to focus on his family and build on his local client base. A short time after commencing at DGB Lawyers Ben joined the partnership in 2015. Ben prides himself on providing prompt expert advice with a sensible and realistic approach. He has a high attention to detail and is a client focused professional. When not at work Ben is usually found in the ocean or with his family (his other passions). Originally from the UK, Claire has a BA (Honours) Degree in Spanish and Media from Leeds University, as well as a Post Graduate Diploma in Law and Post Graduate Diploma in Legal Practice from the College of Law, Chester. 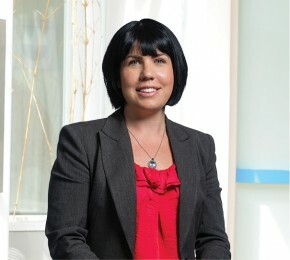 Claire moved to Melbourne in 2002 and was admitted as a legal practitioner in 2003. She then commenced employment with a suburban Melbourne law firm practising in various areas of law. 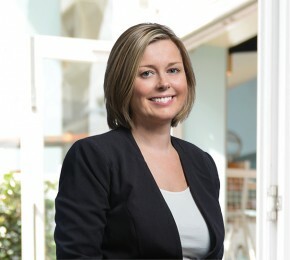 In 2005, Claire came to Wollongong and took up a role in a local firm, initially in family law and subsequently in estate planning and disputed estates. Claire joined DGB Lawyers in 2009 and now focuses primarily on family law, probate and contested estate matters. Claire is a trained collaborative Lawyer. In her spare time, Claire is a passionate rugby league supporter who still follows her English team, St Helens, as well as her NRL team, Parramatta. 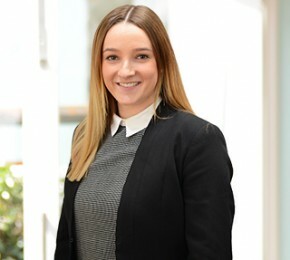 Grace completed a Bachelor of Laws at the University of Wollongong and a Graduate Diploma in Legal Practice from the Australian National University in 2014. Grace was admitted to the Supreme Court and High Court role in 2015. Before joining the DGB Lawyers team in 2016 Grace worked in local Wollongong firm. Grace works in family law, criminal law and in wills and estates and is a member of the Legal Aid NSW family law panel and specialist domestic violence panel. Grace enjoys working with her clients to achieve their desired outcomes. Grace strives to provide practical solutions to legal problems whilst staying focused on the client’s big picture. In her spare time Grace enjoys spending time with her family and friends.